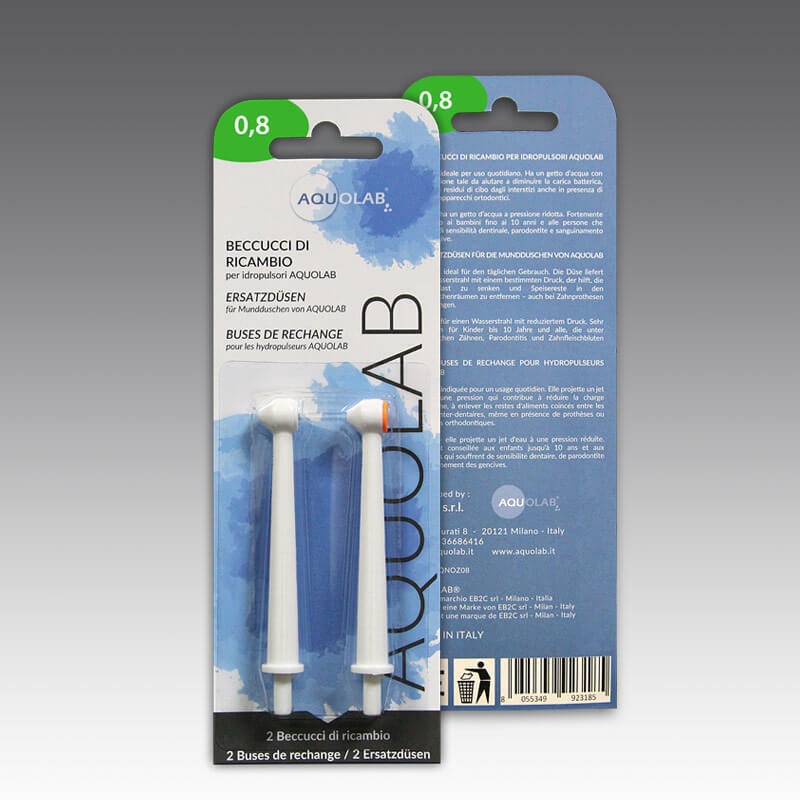 AWater softener and Descaler, indispensable for the proper functioning of the device, prevents limescalefrom building up inside Aquolab, ensuring constant and correct pressure of the stream of water. It is extremely easy to use and the device automatically warns you when to use it. Coloured spare nozzles in practical blisters with 0.6 mm diameter, ideal for daily use. The pressure of the jet of water reduces bacterial build-up, removes food residue between the teeth also in the presence of prosthesis or teeth braces. Coloured spare nozzles in practical blisters with 0.8 mm diameter, with reduced pressure of the water jet. Highly recommended for children aged 10 or younger and for people suffering from dentine sensitivity, periodontitis and bleeding gums. 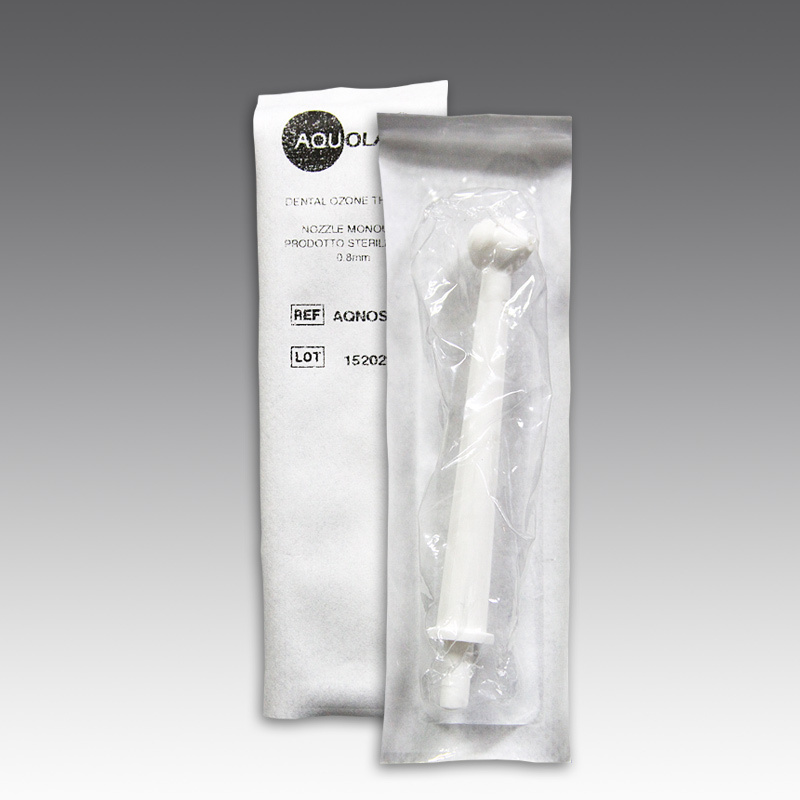 Disposable nozzles in sterile pack with 0.6 mm or 0.8 mm nozzles. 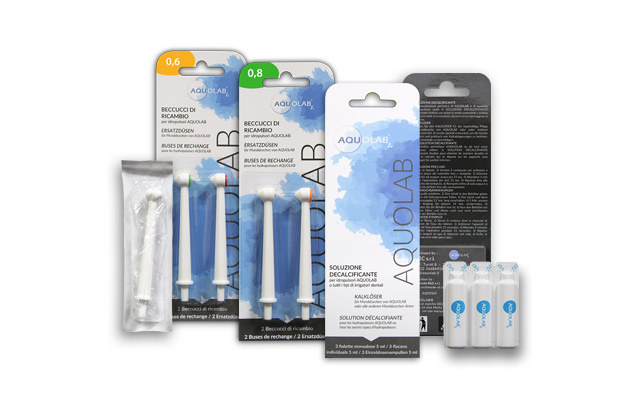 Aquolab devices are designed to last. The motherboard inside allows to promptly detect any problems with each individual component: this, in association with original spare parts, will make it possible to repair the device with no need to buy a new one.